Tribal leaders of the indigenous peoples of the Philippines gather at Palma Hall, the University of the Philippines, to make known their plight. 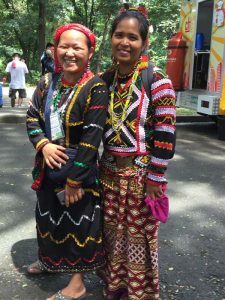 October 14, 2016, Manila, the Philippines – A group of Adrian Dominican Sisters from the Our Lady of Remedies Mission Chapter, based in Pampanga, the Philippines, are joining a protest in solidarity with 3,000 indigenous peoples from their country. Participants are setting up camp in Palma Hall at the University of the Philippines October 13-28, 2016, to raise awareness of their plight. The activists’ ultimate goal is to reclaim self-determination and liberation for their people, who have historically been marginalized. 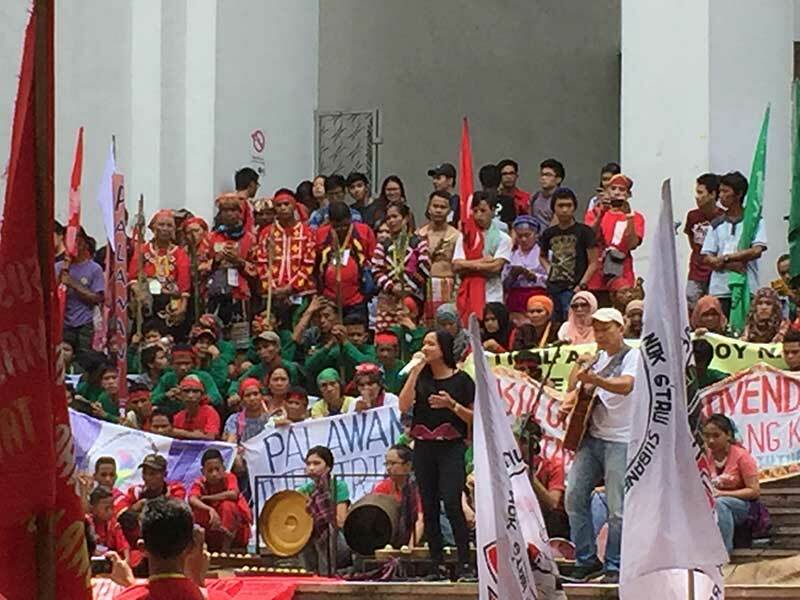 The protest, Lakbayan ng Pambansang Minorya, conducted on behalf of the indigenous peoples and national minorities, calls on President Rodrigo Duterte to put an end to the plunder and exploitation of the native lands and territories that had been so prevalent before he took office. Two women leaders take part in the October 13-28, 2016, protest by indigenous peoples. The Remedies Chapter has sent contributions to help feed the participants, as well as towels and blankets. In addition, several of the Sisters will attend the protest to show their solidarity with the native peoples as they seek their rights. A protest caravan from the major cities and provinces of the Mindanao Province took place on October 8. The remaining itinerary includes the launching and assembly of the National Minorities Allilance; lobbying and dialogues at the National Commission on Indigenous Peoples, the Department of Justice, the U.S. Embassy, mining companies, and the Philippine Stock Exchange; cultural celebrations; a street tribunal against U.S. imperialism; and a send-off Mass. While the government has declared a ceasefire in the war against the indigenous and minority peoples, internally displaced communities who return to their lands find their rebuilding efforts to be “tenuous” because of the continued presence of the soldiers. Many of the minority and indigenous peoples see hope since President Duterte has taken office because of his pronouncements calling for righting the injustices they have endured for years. They call on President Duterte.